I had been thinking about making a post about my journey converting to all Cruelty Free skincare/beauty products for a while now. I started overhauling everything late last year because I love animals and I believe that with all the advancements we have made in the beauty world, and beyond, there is no need for animal testing. If you choose to use non CF products I won't judge you! 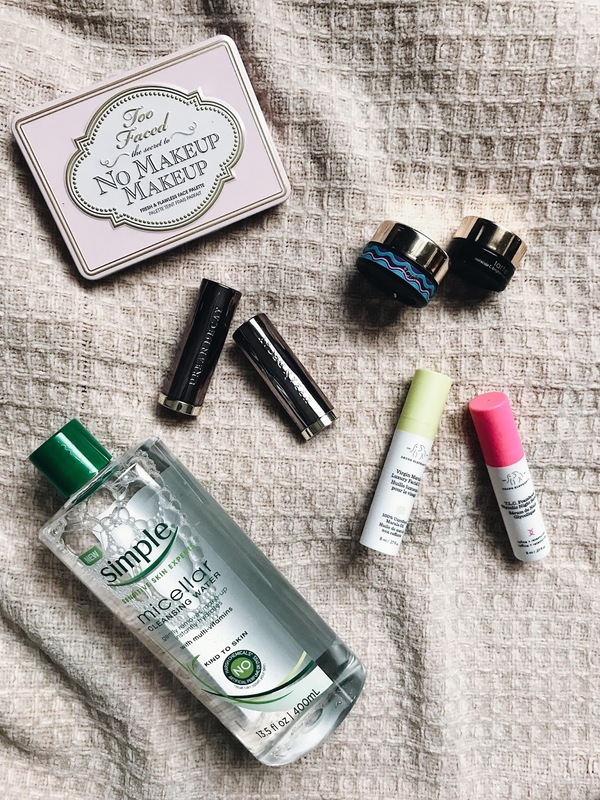 This was a personal challenge I wanted to undertake to feel better not only about the products I'm using but also how and where I spend my money. That being said if you want to or are interested in making the switch I wanted to share some tips and tricks to make it easy. With a bit of patience, research, and trial and error I have been able to swap out old favorites for new CF favorites. Do they test their products or ingredients on animals? Do they hire third parties to test animals on their behalf? Cruelty Free Kitty is a fantastic online resource if you're unsure! If I can't find it on CFK (which can be harder with indie or small beauty brands) be sure to look into the brand's FAQs or email them directly. One other thing to think about when converting to CF is what are your moral grounds if a brand you love is CF but their "parent company" (the company that owns them) tests on animals. For example Burt's Bees is cruelty free but they are owned by Clorox which is definitely not cruelty free - Besma of Curiously Conscious has a wonderful article about this conundrum. Personally my stance falls in line with Besma's. I'm not opposed to using products that are certified (officially or unofficially) as CF even if their parent company is not. Unfortunately most CF brands have a not so great parent company but I hope by supporting their brands that are CF it will encourage them to re-evaluate their business models to become entirely CF (perhaps a pipe dream but I'm optimistic). Lastly, another great resource if you're looking for toxic free products is Beauty Lies Truth. Now moving on to a few of my favorite Cruelty Free brands! I'm definitely more a drugstore girl when it comes to make up (I tend to save the big bucks for skincare). Colourpop, E.L.F., NYX, and Wet N Wild tend to make up the bulk of my daily make up. All of them are extremely wallet friendly, can be found in most local drugstores, Targets, & Ultas. They make great products to experiment with as most have a wide variety of colors and finishes. For more high end brands I really love BECCA (however, keep an eye on this one.... they were recently acquired by Estee Lauder and their CF status - while still in effect - is at stake), Stila, Anastasia Beverly Hills and Fenty Beauty. While I don't use too many of their products: Too Faced, Tarte, and Urban Decay are all CF as well! 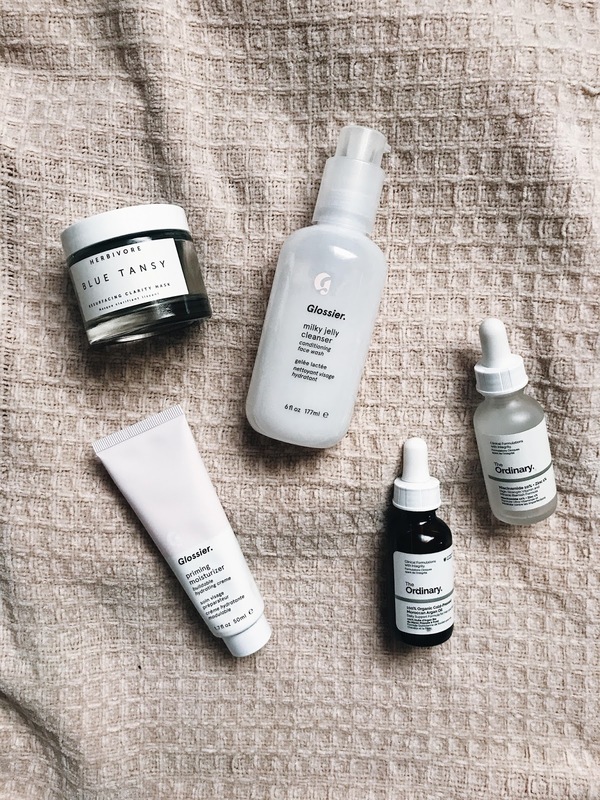 Glossier sort of teeters between makeup and skincare. 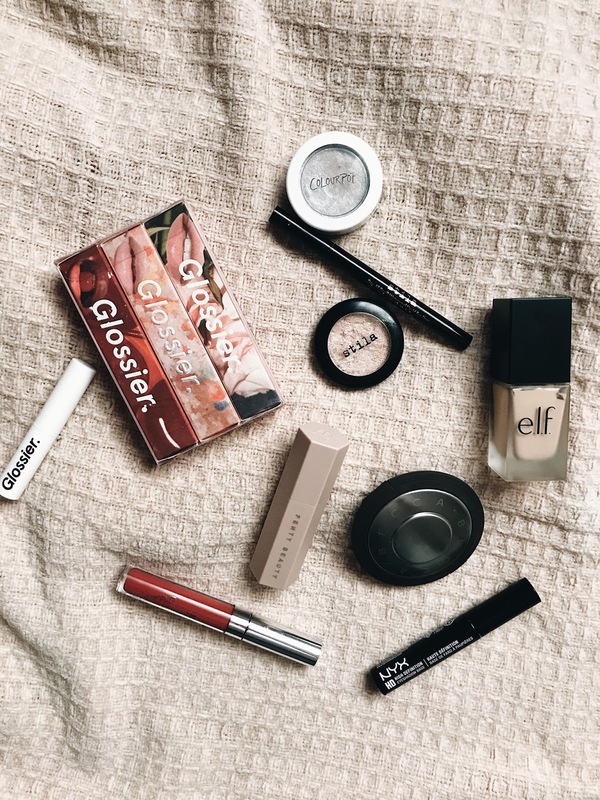 I've been a loyal user of Glossier since day one and tried nearly everything. Their cleanser has been bought over and over, their balms are fantastic, and the moon mask is a dream. I also love Herbivore Botanicals, a little pricey but absolutely worth it. Their Blue Tansy mask was a life changer for me. For inexpensive brands I like Burt's Bees, The Ordinary and Simple. Have you made the conversion over the Cruelty Free products? Do you want to/plan to? If you have, please share with me some of your favorite CF brands/products! I have a few companies I'm looking into giving a go and I'd love to hear if you've tried them.